I’m not just another Shins fan who heard them on the Garden State soundtrack and had them change my life. I respect people who had that happen. But I’ve been a Shins fan since before Sub Pop, and I’ll be one no matter what happens from here forward. I found it interesting, then, that during their session for KEXP live at CMJ, James Mercer made it patently clear that they were looking to the future with plans for something bigger. Cheryl Waters made mention, during the session, of the impending end of their contract with Sub Pop. James answered, “Yep, after this record we are free agents.” A moment of hushed, prideful silence came over the visitors booth, but one of recognition for what has already come to pass. 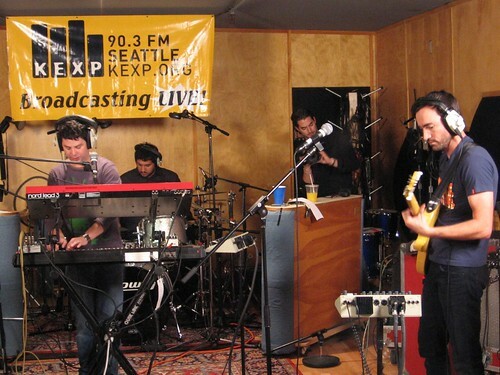 Here’s some pics and, after you check these out, head over to the KEXP blog for some more. 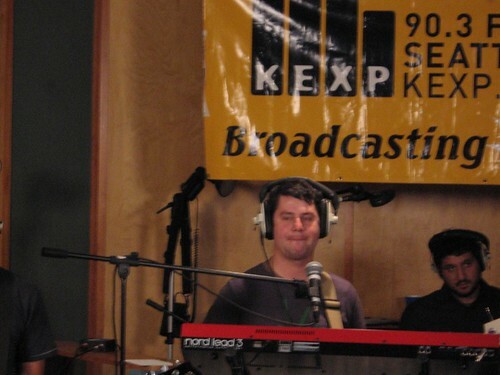 Loudersoft greatfully acknowledges April, John, Chris, Cheryl, and the whole KEXP Staff because they are beautiful people. Loudersoft also greatfully acknlowedges the help of Derek from Good Weather For Airstrikes for his help. 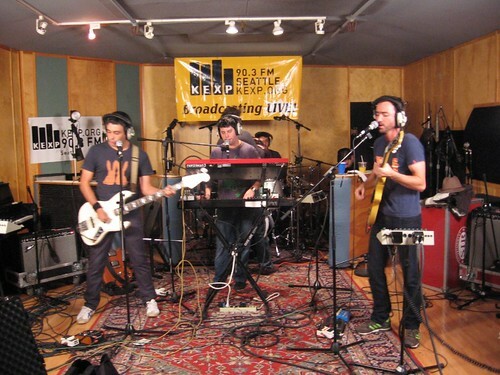 Click Here For More Pics of The Shins et. al. 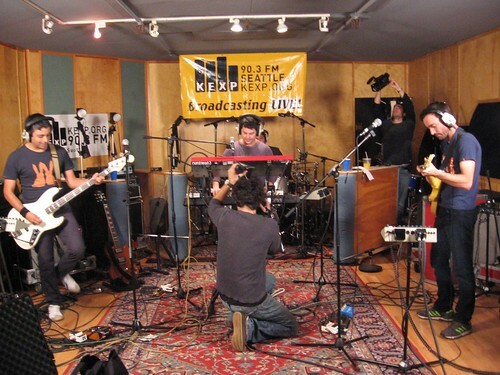 from CMJ Music Marathon 2006. » Newer: Loudersoft Rants: Hey Bowery Ballroom, Mind Your F**king Manners.